I am very happy to report two recent developments in growing the legacy of Paul Gruchow by making his published and unpublished writing available to a wider audience. Texas Tech University, located in Lubock, Texas, has agreed to archive Paul's manuscripts, unpublished work, and twenty six volume Journal. The Gruchow archive will be housed in The Sowell Collection in Literature, Community and The Natural World, which features writing by Barry Lopez, Rick Bass, Bill McKibben, and Patiann Rogers. Of equal significance, an important new Minnesota based environmentally themed Journal, AGATE, is currently featuring selections from Paul's published and unpublished work. AGATE is co-edited by Laurie Allmann, author of the Minnesota Book Award winning FAR FROM TAME. I recommend both AGATE and FAR FROM TAME to readers who value Paul Gruchow's legacy of exceptional writing about nature. My recent reading has included books and magazine articles about the alarming rise in suicide rates among various demographic groups; the abuse, torture and murder of mentally ill prisoners by guards and mental health professionals in Florida; the proliferation of plastic bags throughout the world and legal efforts being made to limit their use; a biography of the German environmental scientist, Alexander von Humboldt, by Andrea Wulf; a biography of JOAN OF ARC by Kathryn Harrison; and what might be Wendell Berry's finest short story collection to date, A PLACE IN TIME. 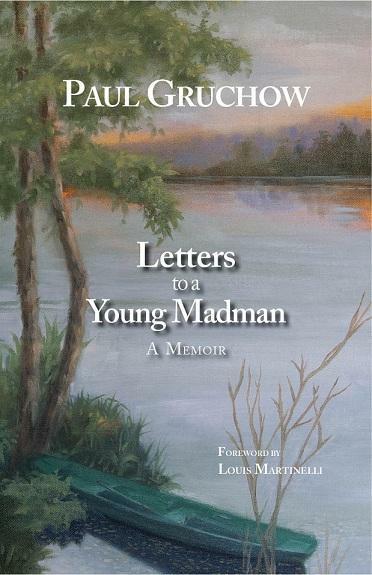 I have re read and edited most of Paul Gruchow's personal Journal, marveling at his brilliant and eloquent observations about his daily life, reading, and, of course, the natural world. This important body of literature will be available for the first time in forthcoming issues of AGATE, and then more completely from the Sowell Archive at Texas Tech University. Please remember that we are a 501.c3 non profit organization. Your donation is tax deductible and will help us fulfill our mission: To help all people explore the connections between nature, creativity, community and mental health. Perhaps this is why I return the prairie: While climbing and stumbling among the grass and scoria, sage and clay, I long for a place to call home, a place to return to that does not bear the burden of a fast-moving world, a place where I can stumble and trip over clover and gaze in wide-eyed wonder at flowers, where I can forget my own needs and wants, and root myself to the land I love. Go to the "Letters" page for more information on this life changing book. Welcome to the Paul Gruchow Foundation Web-site! community and mental health -- themes that are important in Paul�s life and work. and to explore the role creativity and imagination play in mental health. to making these dreams a reality. work of the foundation bearing his name.